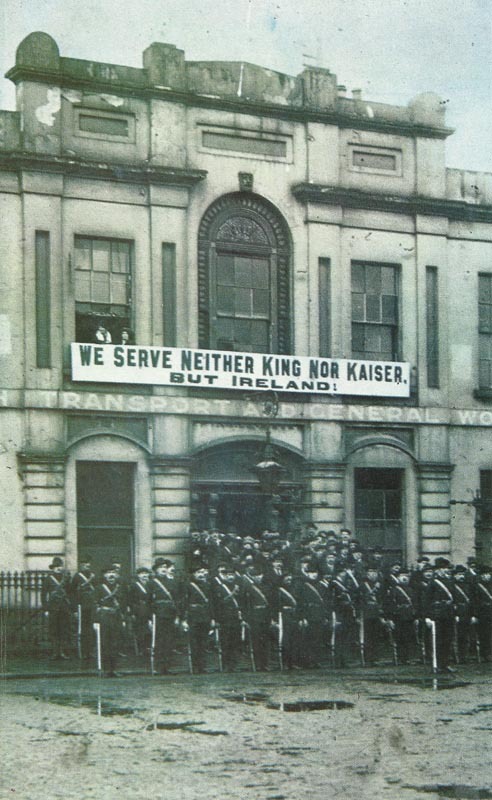 Ireland: EASTER RISING (­until April 30). Russia: Tsar approves tax on incomes over 850 roubles per year (from January 1, 1917). Salonika: General Mahon authorized to move British troops right up to Greek frontier, French already pushing north and west along Monastir railway. Mesopotamia: 15-volunteer­ crewed paddle steamer Julnar gets within 8 1/2 river miles of Kut with 270t of food before being snared in Turk steel wires (2 Victoria Cross won). In Kut now 15 dysentery deaths per day. North Sea: After US protests Germany decides to adhere to prize law in U-boat operations (Scheer told during sortie and radio recalls all U-boats to base, but U20 and U45, unaware, sink 8 ships of 26,751t until May 8). Dover Patrol begins laying 13­-15-mile ‘Belgian coast barrage’ of moored nets with mines and two lines of deep mines (10 minelayers), 4,862 mines in 16 fields (12 miles from shore). Despite attacks by seaplanes, 3 destroyers and shore guns (which hit destroyer Melpomene and 3 others) barrage completed by May 7, which destroys coastal submarine UB13 (May 24). Western Front: French aircraft bomb rail stations at Longuyon, Stenay and Nautillois with bivouacs near Dun and Monfaucon. 15 Anglo-German air combats (2 German aircraft lost). Switzerland: Second International Socialist conference (until April 30) in Kienthal; 43 delegates (10 parties including German and French). Lenin fails to convince majority. Britain: Government replies to US note from October 21, 1915.